He is a well renowned Plastic Surgeon and Cosmetic Surgeon dedicated to deliver the highest standards of health care across the globe. He is based in South Delhi district of Delhi, capital of India. 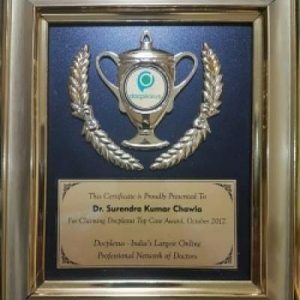 Dr. Surendra Chawla completed his graduation in medical science in 1994 from one of the best medical college (Ganesh Shankar Vidyarthi Memorial Medical College) in Utter Pradesh. He desired to be a surgeon since his graduation and he joined L.L.R.M.Medical College in Meerut for the master course in surgery. He completed his master in 2000. While doing his post-graduation he decided to become a plastic cosmetic and reconstructive surgeon. 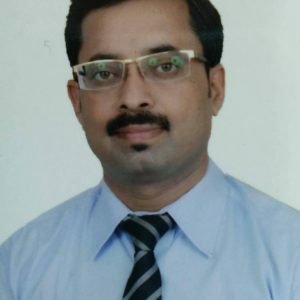 Dr Surendra chawla did his super-specialty course in plastic, Burn and Maxillofacial surgery from biggest plastic surgery department of India in Safdarjung Hospital in Delhi. He completed his M.Ch. in plastic surgery from in 2005. 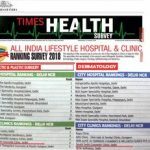 Using his clinical experience, training, thorough knowledge and understanding of human anatomy Dr chawla has now established himself as a renowned aesthetic, plastic and cosmetic surgeon in Delhi. He has been trained by various international cosmetic surgeon from various countries. Before starting his practice as a cosmetic surgeon, he got vigorous training and experience in performing various procedures with excellence. Dr Chawla has experience of 15 years of performing various cosmetic surgeries and plastic surgeries with great confidence and consistently good results. Dr Chawla spent lot of time with various giant of cosmetic surgery to achieve thorough understanding of Hair Transplant, Breast Surgery, Male Breast reduction, Rhinoplasty, Liposuction, Genitalia Surgery and various Non -surgical cosmetic surgery procedures like Fillers, Laser Hair and Tattoo removal. Dr chawla made his experience reconstructive plastic surgery for Trauma, Burn, Maxillofacial Surgery, Birth Defects correction, Cancer Reconstruction and Microvascular repair and established himself as a renowned Plastic, Reconstructive, Microvascular and Hand Surgeon. He has vast experience in treating Acute Burn and Post- burn deformities of Face, Neck, Hand and Limbs. Dr Chawla has also been trained in various procedures of Maxillofacial Surgery and Craniofacial surgery. During his training in craniofacial training he was exposed to various bony deformities of facial and skull bones (craniosynostosis). Dr S.K.Chawla has been awarded and appreciated by various doctors forum and Indian Medical Association for his efforts and contribution in the field of Reconstructive plastic surgery and cosmetic surgery. 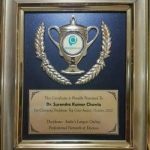 Dr. Chawla currently holds a vital clinical position and is attached as senior visiting consultant, Plastic and Cosmetic surgery department at Fortis Group of Hospital Delhi and NCR (Faridabad and Gurgaon) for last 10 years. 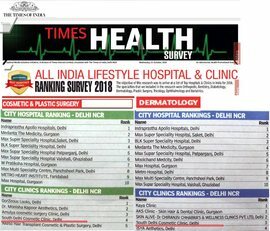 He is also heading Plastic Reconstructive and Cosmetic surgery department of Max Smart Superspeciality hospital in Saket of New Delhi for last 10 years. His excellent work in the field of Cosmetic surgery is widely acknowledged which has opened the gateway to new and advanced mode of treatment with effective results. Dr Chawla has been an academician since his days of graduation and has published his work of plastic and cosmetic surgery in the American Journal of Plastic surgery and other reputed medical journals. Dr Sarika is a cosmetic Doctor at South Delhi Cosmetic Clinic. She Has been trained by Indian and International cosmetic doctors in India and abroad to perform various non surgical cosmetic treatments . She had completed her medical graduation from L.L.R.M Medical College Meerut, U P. She did her post-graduation from Safdarjung Hospital Delhi India. Dr Sarika has 7 years of experience of performing non surgical cosmetic treatment with confidence and good results. She also counsel women clients who are coming for various cosmetic surgeries and help them deciding the cosmetic treatment they wish to go for.